Diplomats, scientists, activists, religious leaders and film star Martin Sheen have addressed a civil society forum and government conference in Norway on the health, environmental and emergency impact of nuclear explosions. The World Council of Churches website described the March 2 to 5 meeting in Oslo as "an unprecedented show of global public concern." It included strong religious voices, 500 civil society representatives and 132 governments, United Nations representatives and the International Committee of the Red Cross. This meeting carried a special resonance during a period in which North Korea, after defying the United Nations, had a third nuclear test and said it might halt its armistice with South Korea, raising East Asian tensions. The U.N. Security Council in New York stepped up sanctions against North Korea this week. At the same Iran continues enriching uranium to build weapons. Israel is currently the only nuclear arsenal allowed by the western world in the Middle East region. Despite sanctions and outcries against nations that test or build nuclear weapons, members of the U.N. Security Council: Britain, China, France, Russia and the United States, were absent. "It is astounding that States have never before come together to address the humanitarian consequences [of nuclear weapons]," said Peter Maurer the head of the Geneva-based International Committee of the Red Cross. Dr. Bob Mtonga, a Zambian physician, noted that regions which have rejected nuclear weapons, such as Africa and Latin America, show "moral leadership" for international efforts to "free the world of nuclear weapons and prevent the global public health disaster that their use would create." Organized by the International Campaign to Abolish Nuclear Weapons, the forum included diplomats, scientists, activists, religious leaders and film star Martin Sheen. They evaluated the global humanitarian consequences of nuclear blasts on health, the environment and emergency responses. 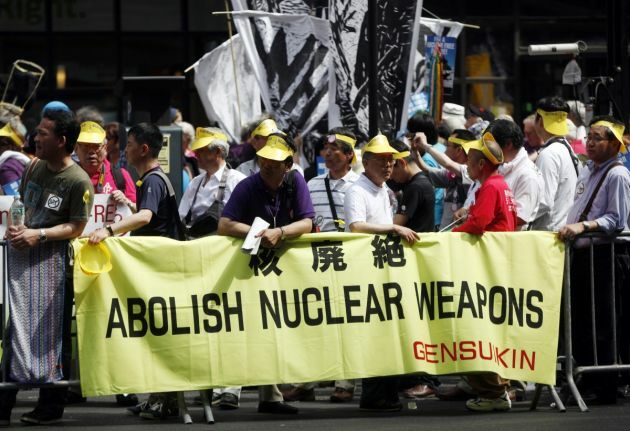 Members of the World Council of Churches "no-nukes" network also participated. "We strongly affirm the responsibility of all governments to examine the impact of nuclear weapons on human health, the biosphere and the means of life," said WCC general secretary, Rev. Olav Fykse Tveit, in a statement. "People everywhere have been denied rigorous, public, evidence-based scrutiny of weapons which are too terrible for any use," he noted. For Maurer "the only way forward" is to place bans or prevent nuclear weapons. Studies discussed showed how national and international emergency responses to nuclear accidents or conflicts, whether from intentional or mechanical errors, are resolved poorly. Often the effects of nuclear weapons last beyond one generation and the impacts cannot be erased. Participants agreed major devastation from a nuclear blast could weaken the capacities of States or international humanitarian groups to provide effective aid. They said facts show that no international response would be enough. Therefore States have to share the responsibility to form new initiatives to ban these weapons. Norwegian Foreign Minister Espen Barth Eide said that despite the end of the Cold War and the new political environment, in which most countries no longer threaten each other with nuclear annialation, the "destructive potential of nuclear weapons remain." The International Campaign to Abolish Nuclear Weapons (ICAN) showed a video on the history of nuclear weapons. The video explained the disconnection between the advancements of society and the continuation of nuclear weapons. Others such as Japanese-born Bishop Laurence Yutaka Minabe, recalled how his father recovered from severe burns after the bombing of Hiroshima at the end of the Second World War, but died of blood cancer 30 years later because of the radiation sustained. At the end of the meeting Mexico announced it would host a follow-up conference to build on this humanitarian initiative of the Norwegian government.